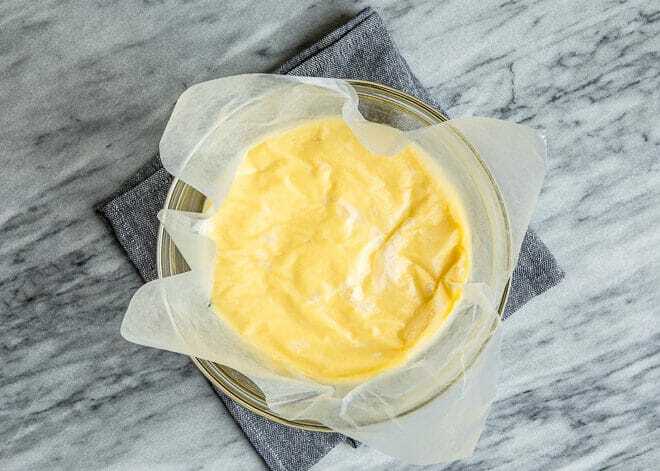 Take your baking skills to the next level with my recipe for classic French Pastry cream. It’s easy to make and so delicious, and you can use it to fill cakes, pastries, tarts, and pies, or even just eat it with a spoon. The first time I made pastry cream was in culinary school. 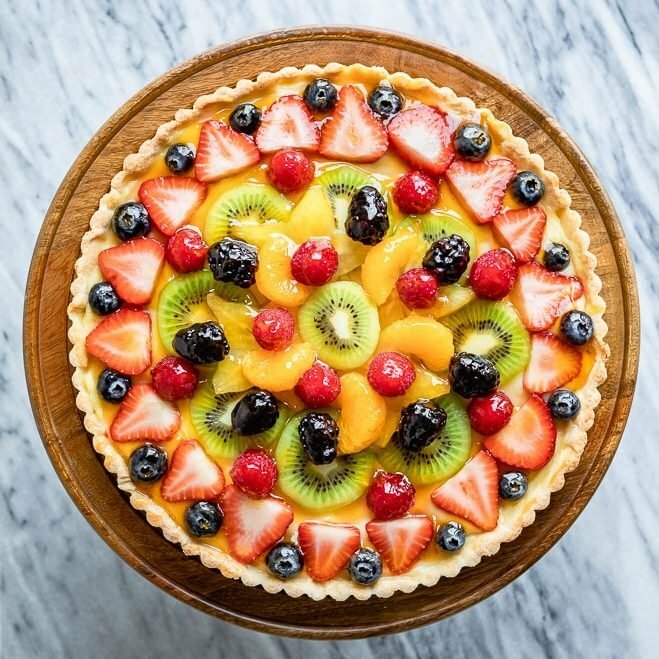 We made it to go in our Fresh Fruit Tart, but I found myself eating half of it before my tart crust cooled. It’s basically the best vanilla pudding you’ve ever had. 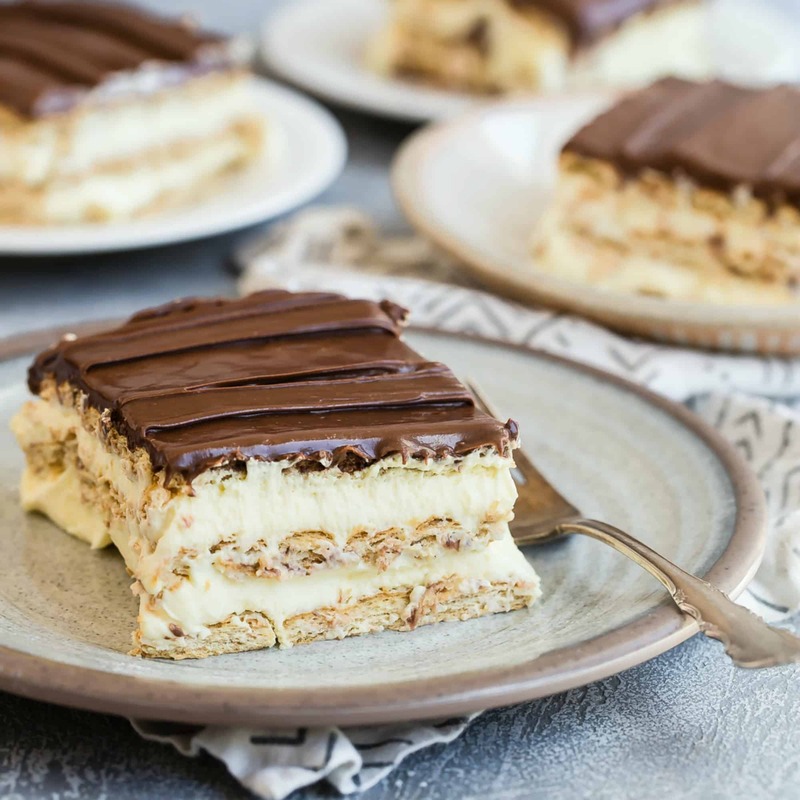 You can use it for all kinds of desserts, too: my favorite Danish Layer Cake, Cream Puffs (in place of traditional whipped cream), or even in Chocolate Eclair Cake. What is pastry cream made of? You can also whisk in a tablespoon or two of butter into the finished cream, after the vanilla. It adds a pretty shine and even more flavor. How do you make pastry cream? Warm milk until tiny bubbles appear on the surface, about 6 to 8 minutes. Meanwhile, whisk together egg yolks and sugar. Whisk in cornstarch and salt. While whisking constantly, pour in half of the hot milk. Whisk in remaining hot milk and return to saucepan. Cook over medium heat, whisking constantly, until the mixture thickens to a firm consistency, about 5 to 8 minutes. Whisk in vanilla. Scrape in to a bowl. Cover with plastic wrap, pressing it directly on to the surface of the pastry cream. Refrigerate until chilled, about 2 to 3 hours. How do you make flavored pastry cream? Flavored with Extract: Add 1/4 teaspoon to 1/2 teaspoon of flavored extract such as almond, banana, hazelnut, lemon, or maple (affiliate links) when adding the vanilla extract. Citrus: Add the zest of one lemon or lime when adding the vanilla extract. Chocolate: Add 1 cup chopped chocolate when adding the vanilla extract, while the pastry cream is still hot. Pistachio: Add 3/4 pistachio paste (affiliate link) when adding the vanilla extract. 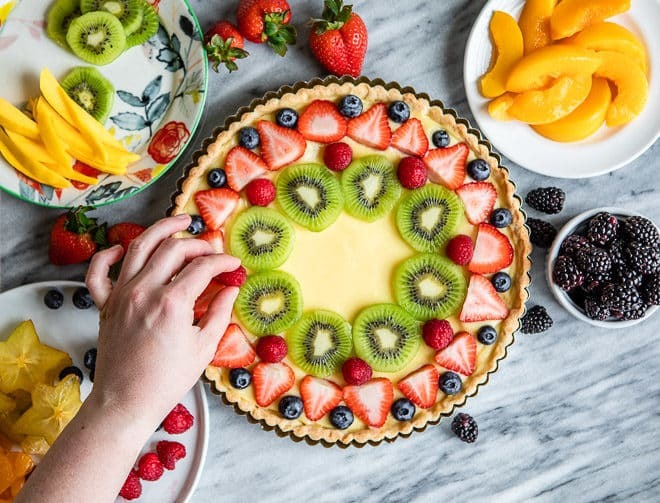 How do you make pastry cream dairy free? 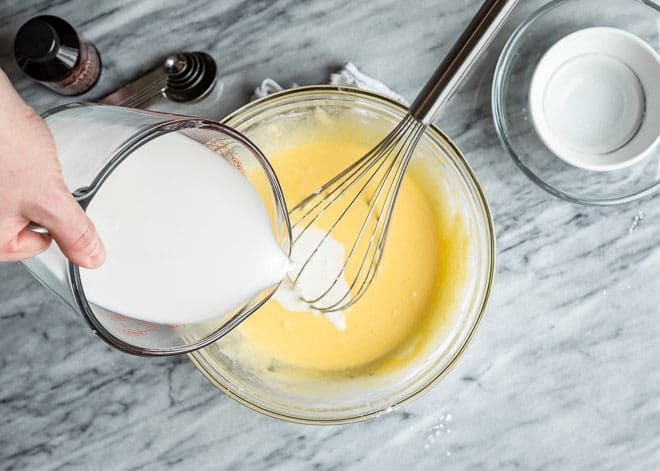 Make dairy-free pastry cream by substituting a non-dairy milk such as soy milk, coconut milk, or almond milk. Coconut milk or cream yields the creamiest results. Thinner milks may require a bit of extra thickener to achieve the same consistency. How long is pastry cream good for? Once cooked and chilled, pastry cream will usually keep for about 3-5 days covered and stored in the refrigerator. 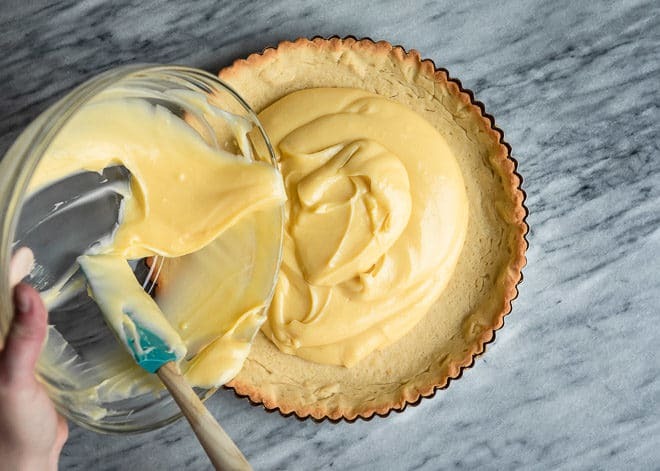 As pastry cream sits, it may start to separate a little bit. 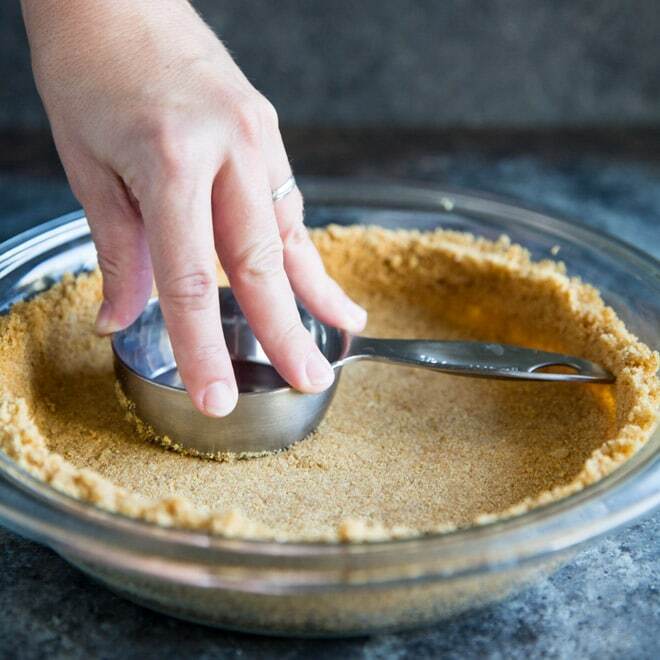 Excess liquid may seep out from the cream around the edges and bottom of the bowl. Simply whisk well to reincorporate the liquid and use the pastry cream as desired. 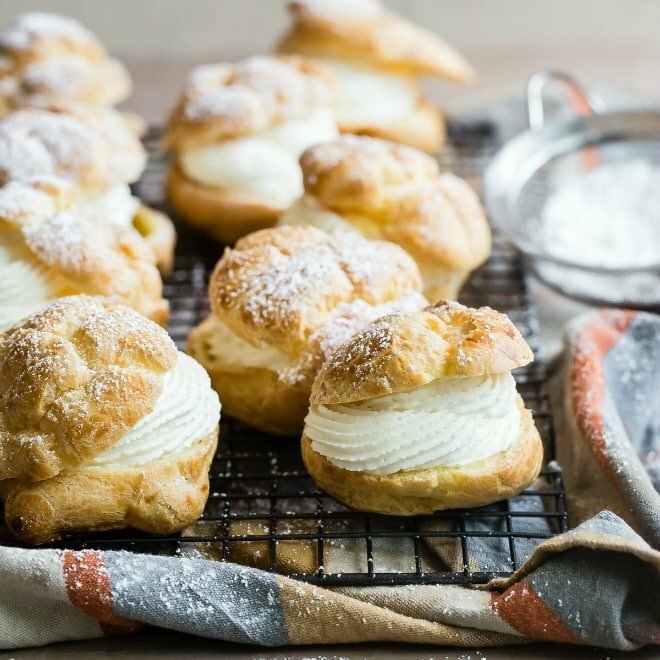 How do you thicken a cream puff filling? Classic eclairs and some cream puffs are filled with pastry cream. You can “lighten” pastry cream for these applications by folding in 1 cup whipped cream after the pastry cream is cool. Is pastry cream the same as custard? 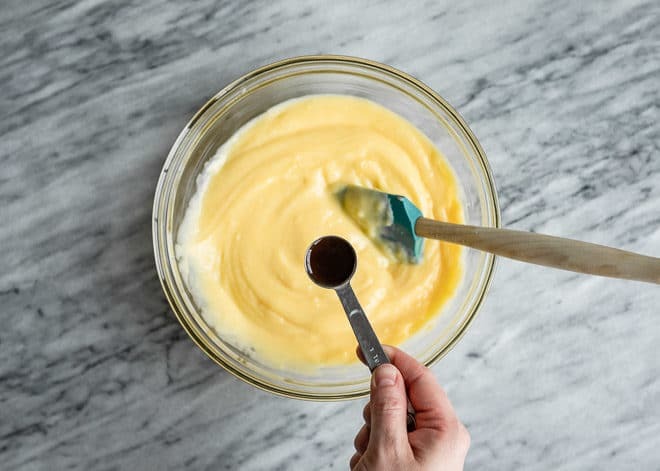 Pastry cream and custard are sometimes used interchangeably in recipes, but they aren’t the same thing. 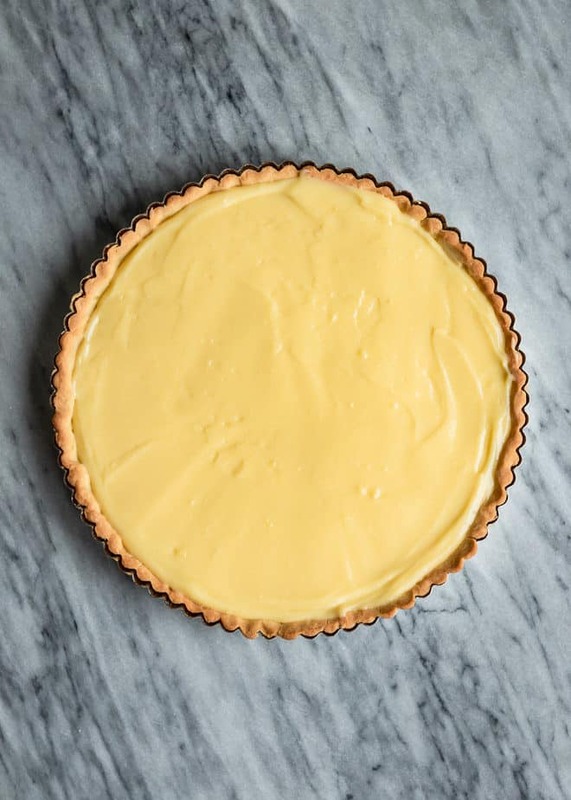 Custard does not contain a thickener such as cornstarch or flour and has a much thinner texture than pastry cream. Custard is usually pourable and used as a sauce or base for other desserts such as ice cream or baked custards. 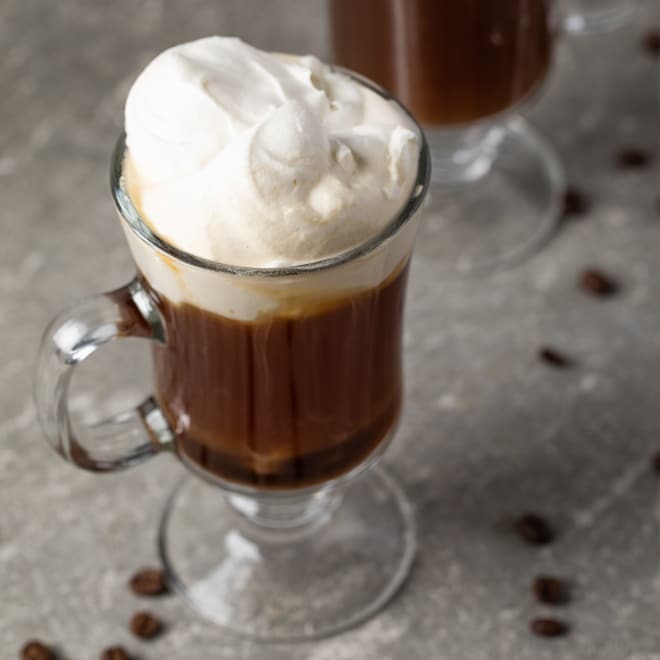 It is made with milk and cream, sugar, egg yolks, and vanilla or other flavorings. 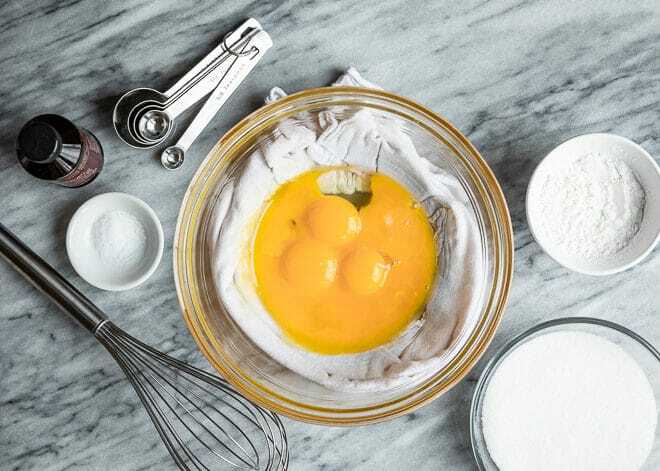 What is pastry cream powder? 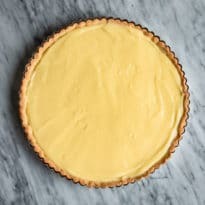 More popular and available outside of the US, pastry cream powder is a packaged mix similar to that of American pudding, but not exactly the same. It’s a great shortcut when needed. Pudding mix can sometimes be substituted for pastry cream powder depending on the recipe and/or use. 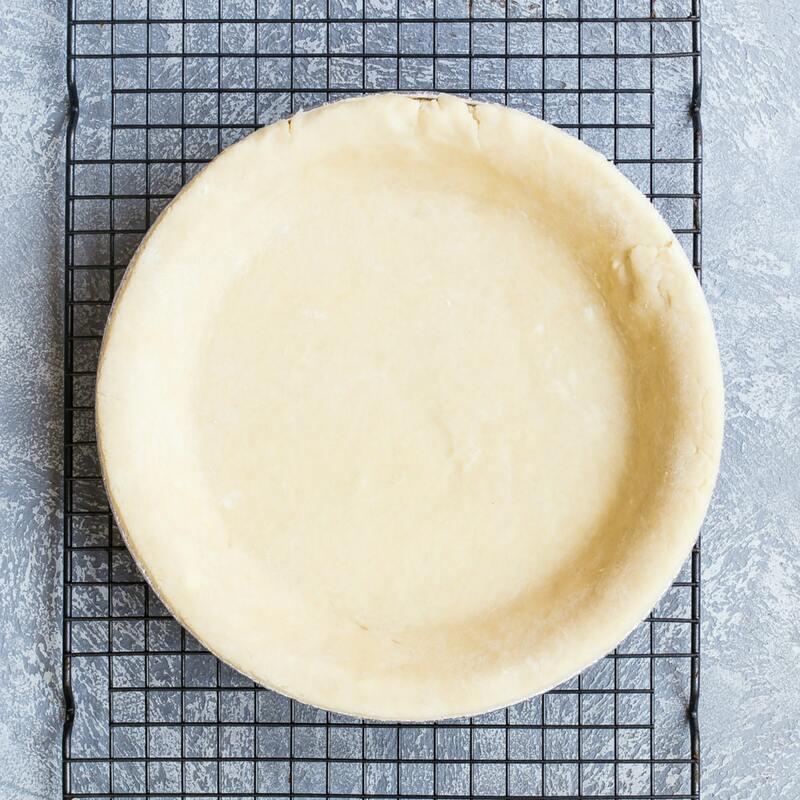 Take your baking skills to the next level with my recipe for classic French Pastry cream. It's easy to make and so delicious, and you can use it to fill cakes, pastries, tarts, and pies, or even just eat it with a spoon. 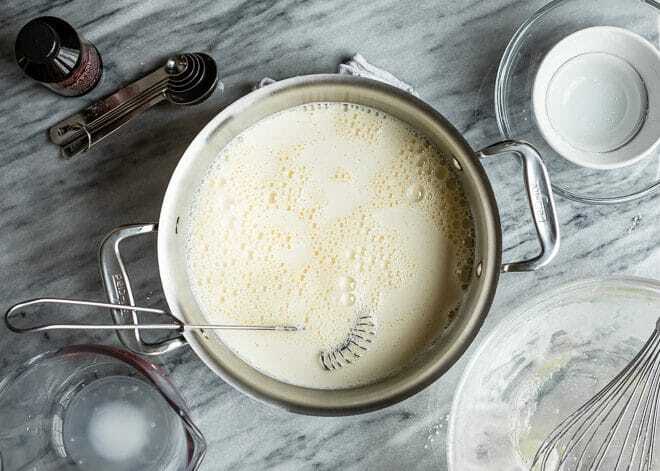 In a medium non-aluminum saucepan over medium heat, warm milk until tiny bubbles appear on the surface, about 6 to 8 minutes (about 180 degrees Farenheit / 82 degrees Celsius). Meanwhile, In a large bowl, whisk together egg yolks and sugar. 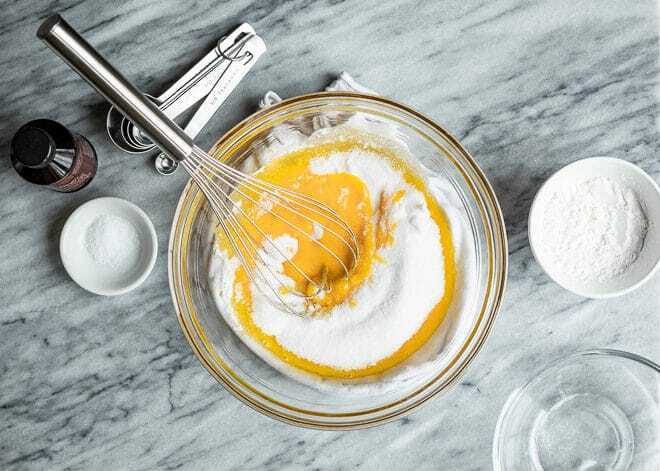 Whisk in cornstarch and salt. Flavored with Extract: Add 1/4 teaspoon to 1/2 teaspoon of flavored extract such as almond, banana, hazelnut, lemon, or maple when adding the vanilla extract. Pistachio: Add 3/4 pistachio paste when adding the vanilla extract.